Product #55867 | SKU ROL-000875 | 0.0 (no ratings yet) Thanks for your rating! 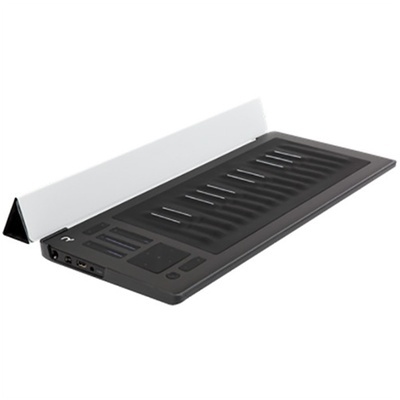 The silver Seaboard Rise Flip Case & Stand from Roli is a lightweight protective case that folds back to create a stand for mobile devices. It can be used to prevent wear and tear on the Seaboard Rise Touch-Sensitive Interface Controller—sold separately—and shields the keywave surface from dust, spills, and scratches. Furthermore, the Flip Case can be configured as an elevating bar for convenient use on your work surface and is built with a strong polycarbonate chassis that provides full access to all ports.